Can you get a felony conviction removed from your North Carolina criminal record? As of December 1, 2012, yes, it is possible. North Carolina’s legislature passed a statute in 2012 that allows a person with a felony or misdemeanor conviction to have it removed—or expunged—from their record. This means that the NC legal system will destroy a previous criminal record, and the individual that incurred the conviction can, without threat of penalty, truthfully deny a conviction. 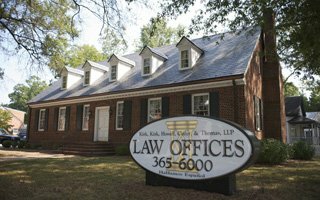 Since 2012, our Raleigh law office has helped our clients achieve freedom and relief by expunging old convictions and even restoring gun rights to people with prior felonies. There are a few criteria a client must meet before qualifying for felony conviction expungement in North Carolina. First, we’ll determine your eligibility, then move forward with the six-step process towards expunging your criminal record. Do You Qualify for a Felony Expungement? We follow a defined, six-step process in getting your felony expunged. The petitioner must sign an affidavit stating they have been of good moral character since the conviction. The affidavit will also state that the petitioner has had no other convictions since the felony charge, other than traffic violations. The petitioner must get verified and affidavits from two people—not related to the petitioner or each other–who will state that your character and reputation within the community are good. The petitioner requires an affidavit that no restitution orders or civil judgments are outstanding. Finally, they require a statement that the petition is a motion in the cause in the case wherein the petitioner was convicted. This includes the date of the criminal offense, the disposition date, case number, name of arresting agency, and details about the charges. This involves giving the District Attorney a copy of each affidavit from step one, as well as the final expungement petition. The petitioner’s original forms will be kept by the petitioner, but will be signed by the Assistant District Attorney. The D.A.’s office can be served in person, or served via certified mail with a self-addressed, stamped return envelope, so they return the signed original petition for expungement. Once the petitioner has served the District Attorney and received the signature on their original expungement petition, the petition must be filed with the Clerk of Court. This has a fee of $175, which must be paid immediately. They may also require a certified copy of the petitioner’s criminal record, which will cost another $25. 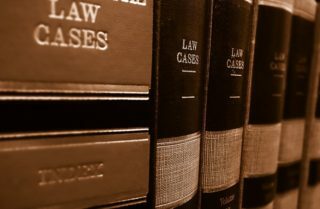 Oftentimes, depending on the North Carolina county, the court will waive the court hearing; but the petitioner should be prepared for a hearing just in case. At this point, the petitioner has done all they can do. The process can be slow. Basically, the petition for expungement will be reviewed by a judge, then put through an in-depth background check. The petitioner may or may not have a court hearing. The entire process may take anywhere between six months and a year. Our expert team of criminal lawyers will guide you through the process to make it as painless and easy as possible. We know how important it is to have a clear criminal record – it impacts everything from your ability to get a job, to your freedom to vote, and your right to own a gun. Call 919-615-2473 or complete the online contact form to speak with an attorney about getting your criminal record expunged and having your felony or misdemeanor removed from your past. Thank you for inquiring about your eligibility to expunge your criminal record. Please answer the following questions to help us help you. What was the sentence imposed (i.e. - length of probation, active jail time, etc. )?